Turn anything into a cannabis-infused edible. All of Stillwater Brands’ products are rigorously tested throughout the production cycle to make sure they are the highest-quality and purest products available. Stillwater Brands takes a scientific approach to dosing so consumers can rest assured, placing a high level of trust in its products. To further safeguard the quality of its products, Stillwater Brands only works with highly-vetted cannabis producers for the CO2-extracted, distilled-to-order cannabis oils utilized in its products. 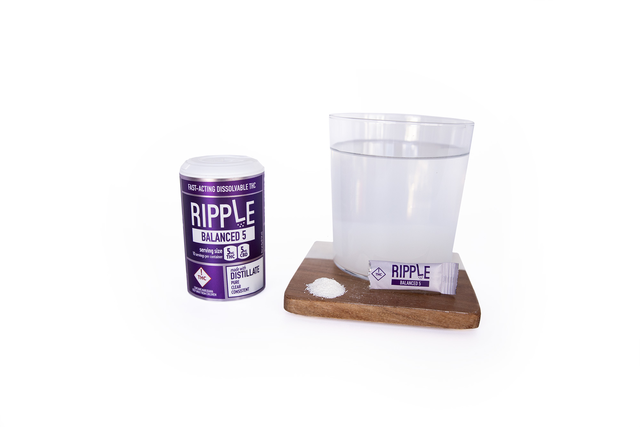 Each individual packet contains an even blend of 5mg of THC distillate and 5mg of CBD isolate. It combines the smooth, clear-headed high of pure THC with the pain- and inflammation-relief that CBD is known for. The experience is meant to be pleasant, lucid, and perfectly balanced. Excellent for workouts, game nights, weekend errands and dinner with family and friends. Available at retailers like Diego Pellicer, Good Chemistry, Kind Love, and more throughout Colorado to adults 21 and over.